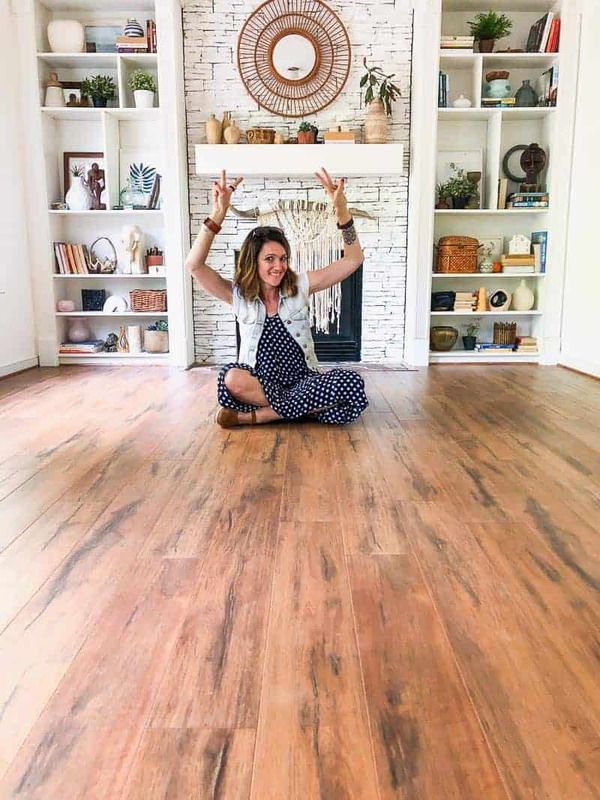 5 TIPS FOR LAMINATE FLOORING: You can ROCK this DIY! This post is brought to you by Select Surfaces. Today’s post is all about laminate flooring, guys! Phew – it was a gigantic project, and I can’t wait to share all the details and tips with you! I’ve been itching to hit “publish” on this post as I am so super excited to share the new look of our home. I genuinely mean NEW LOOK because I certainly feel that I am walking around in a different house. We moved into our house ten years ago. The house had hardwood floors on the first level and carpet on the second level. Pretty standard setup, right? We had no problems with the carpet until about 2-3 years ago when the wear really started showing. I mean it was almost 20 year old carpet in the house! It began to look really filthy and I hated it! I simply HATED IT! 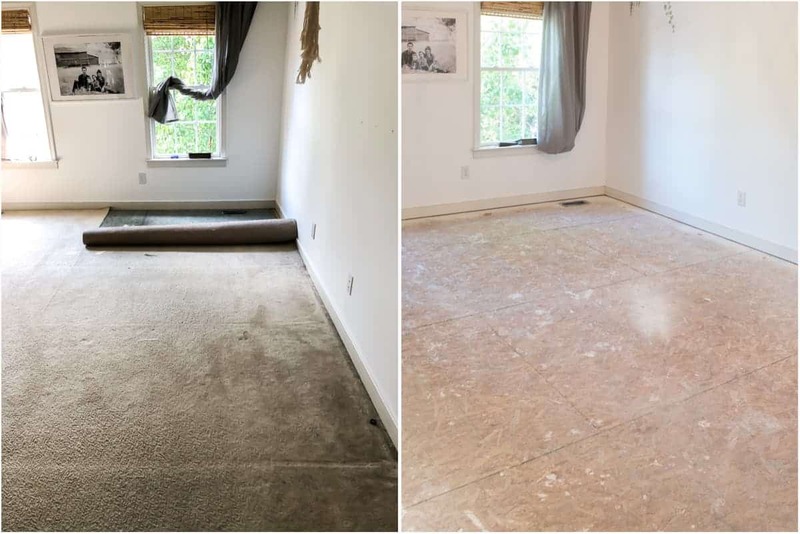 Trust me, I have rented carpet cleaners several times, and it did help temporarily, but I always felt like the dirt and dust came back pretty quickly after the deep cleanings. We started talking about possibly changing the carpet out on the second floor. We quickly decided on laminate flooring. When I first started looking into laminate flooring, I read lots about its standing up to wear and tear, and its durability and such. I googled the heck out of it, and I was convinced that laminate flooring would be the best possible choice for us! I have two boys (HA- very energetic two boys!) and they literally never stop running around the house. I thought it would change with age but I was wrong, LOL! I definitely had to take that into consideration. Plus, laminate flooring is surprisingly budget friendly (under $2 per square foot! ), easy to install and it looks really amazing and quite stylish. 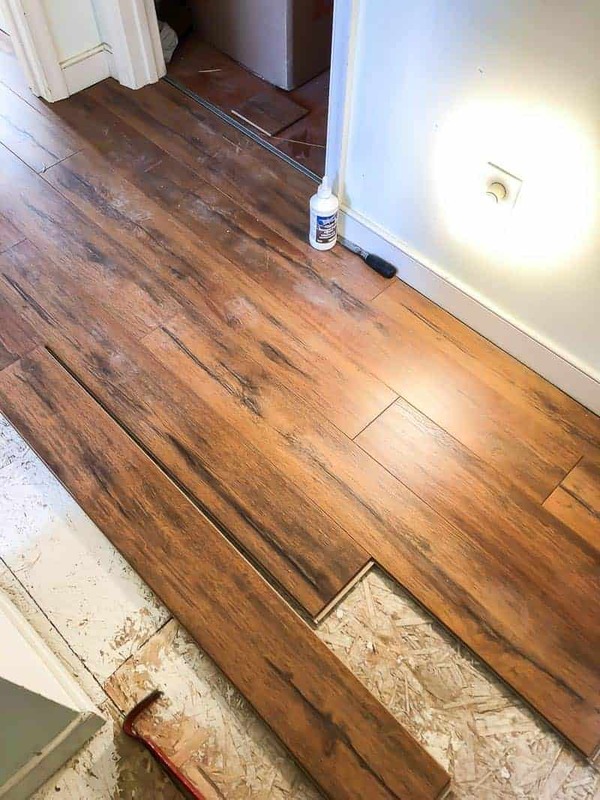 So, that was that on how we decided on laminate flooring but hear this: This gal over here figured that if we are going to redo the second-floor, we might as well just redo the first floor too, to create a cohesive look throughout the entire house! Oh my… I sure do LOVE to take on a project! So we came across Select Surfaces laminate flooring at Sam’s Club. We are business members, and we go to Sam’s often. Passing the flooring aisle at Sam’s Club regularly, it was really just a matter of time before we fell in love with the Select Surfaces Laminate flooring. Select Surfaces has a number of finishes to suit any decor, and I was able to narrow my selection down to two finishes that I really loved. I took samples home, then we ended up picking the CARAMEL finish, and I am so happy we did! We purchased 158 boxes ( Yeah, it was undoubtedly a great workout to bring those boxes into the house!). But before I share my most valuable tips on installing laminate flooring, I want to show you the filthy carpet and the sub-floor underneath. I was truly shocked by what we saw when we ripped out the carpet. Look at this! Unbelievable! So if anything, this alone should make you consider ripping out your carpet and installing laminate flooring! 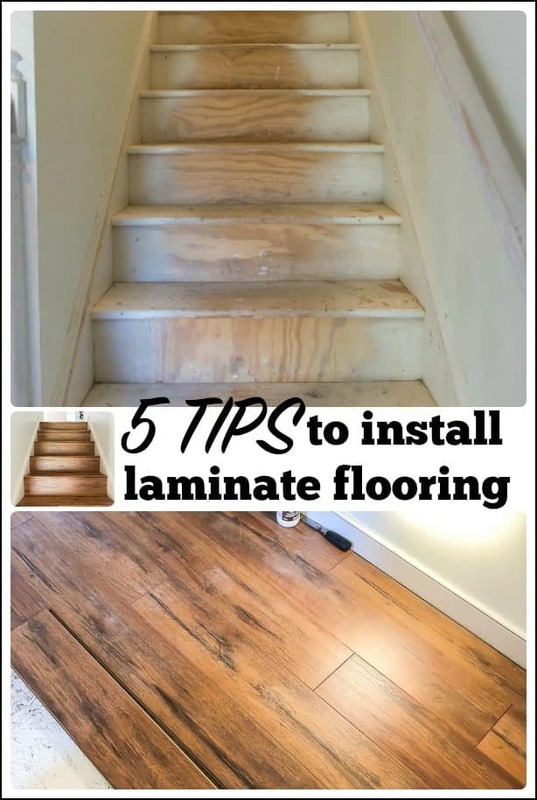 But let’s move on to the TIPS FOR INSTALLING LAMINATE FLOORING! TIP #1 – MEASURE, MEASURE AND MEASURE RIGHT! 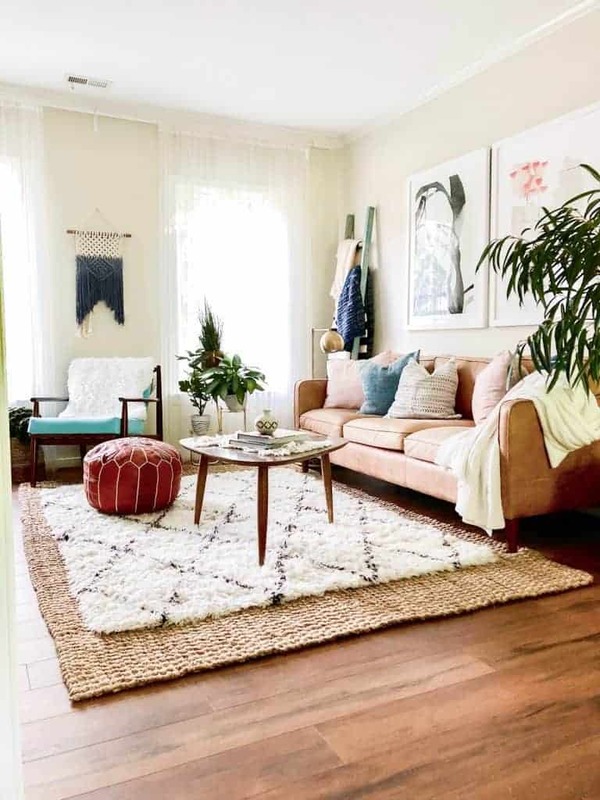 The very first step in the process is to measure your space! Measure every inch, jot it down then calculate the total square footage of the area where you want to install your laminate flooring! It’s super important to be accurate here and measure right. Measure the room’s width and multiply it by the room’s length. Once you have your numbers, you can type that into the calculator on Select Surfaces website, and it will tell you exactly how many boxes you need to purchase for your project! Be sure to add 5% -8 % extra flooring on the top of your total number for overages. TIP #2 – PREP YOUR sub -FLOORS! This is an important step! 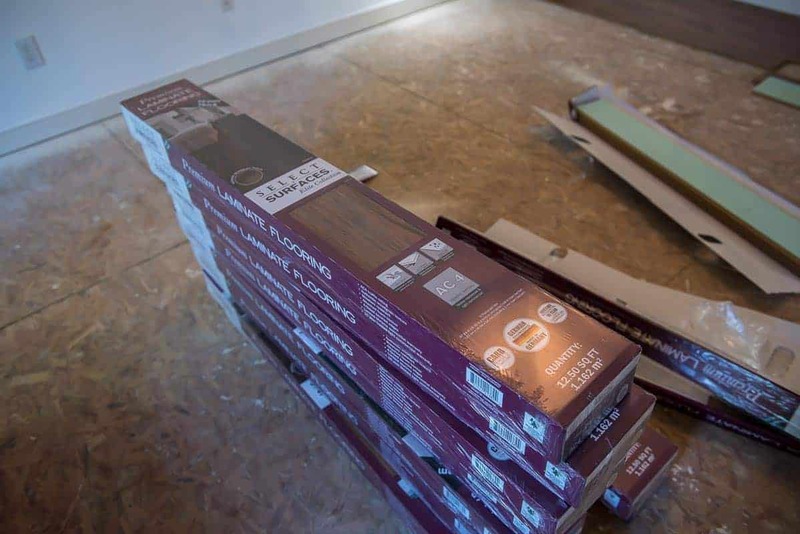 If you remove carpet be sure to pull out ALL nails and staples from the surface before you start installing your laminate flooring. Then vacuum all the dirt and dust to clean the surface thoroughly. 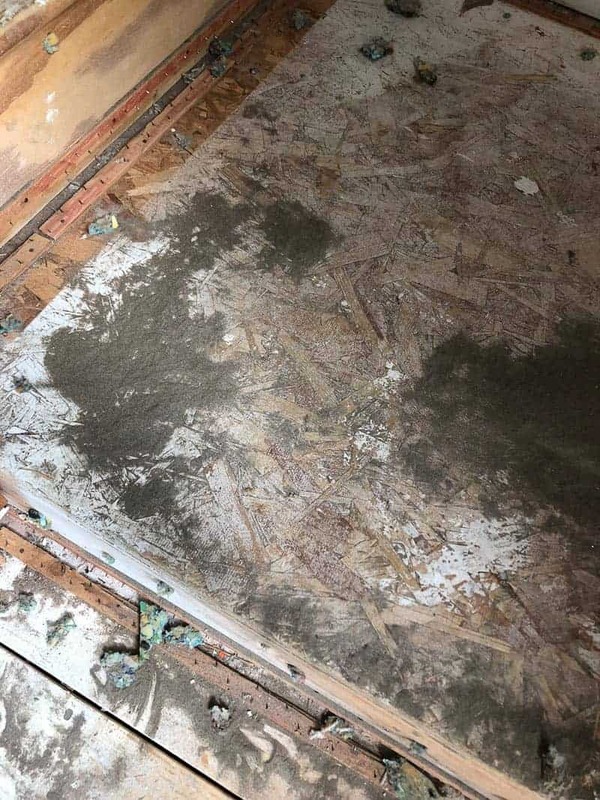 Anything that’s left there can cause issues with your floor installation. You need a smooth, clean surface. We did not remove the baseboards and it did not hinder our installation, you should be coming back to replace the shoe molding anyway and need to leave a small gap around the edges for expansion and contraction over the seasons. 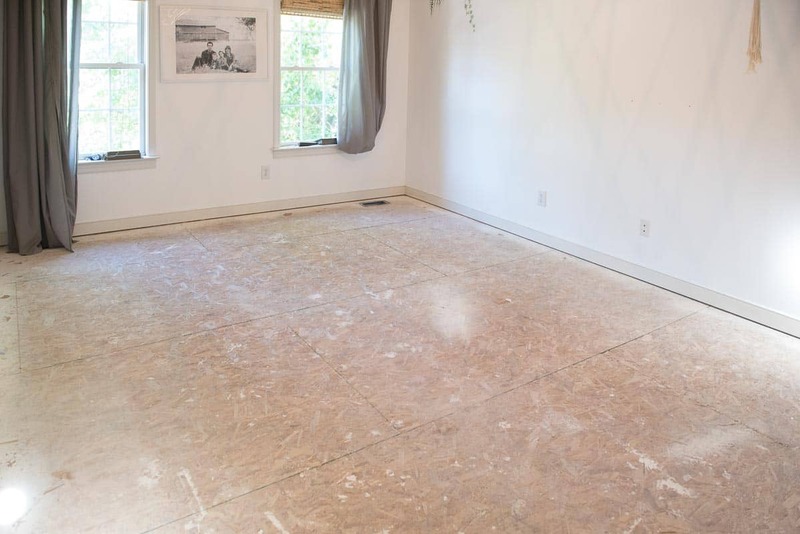 Plan ahead and decide how you are going to start laying your flooring. Always leave extra spacing between the walls and flooring for expansion. It’s super important. -Use a spacer to help you with keeping the right spacing. TIP #4 – EDUCATE YOURSELF ON THE HOW-TO! Installing laminate floors is not hard. In fact, it’s easier than you think even if you are not a DIY-er! 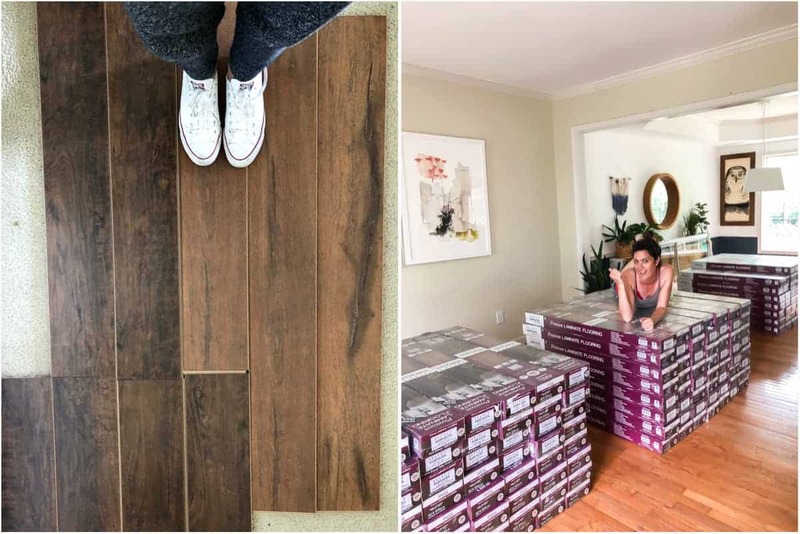 But before you start installing your floors make sure you watch videos as they are super helpful and informative if you have never done it. I will not share a step by step tutorial on that as Select Surfaces has lots of tips and tricks and videos on installation! Take your time and watch those videos for a more straightforward, headache free installation! 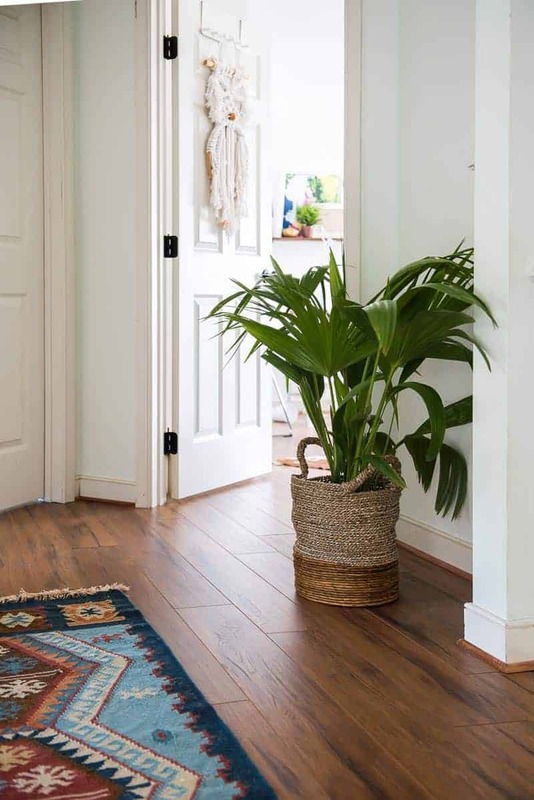 The last step and finishing touch are to add shoe molding around your rooms and T-molding to your doorways. 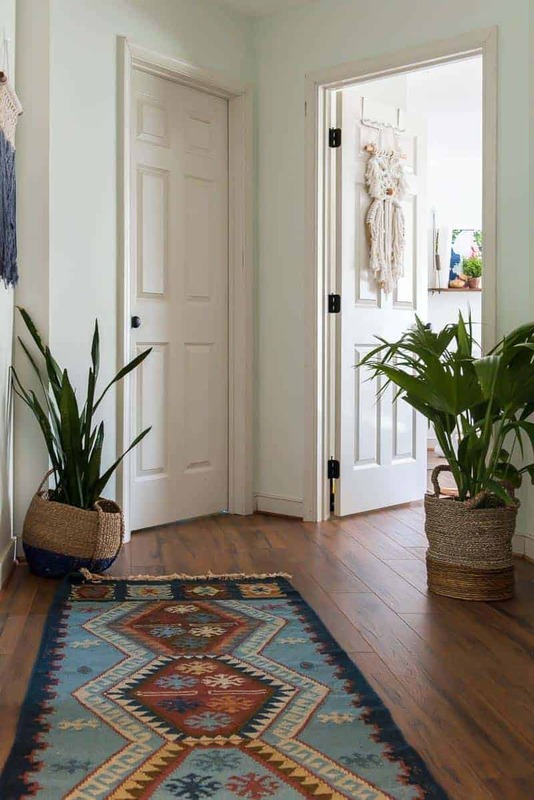 I picked up shoe molding at The Home Depot and stained the moldings to the same color as my flooring were (which turned out to be almost exact color), and bought T-moldings at Sam’s Club for the doorways. Installation on both of these items was easy and fast. Then, after all, move everything back into your house and enjoy the fruits of your labor! It’s so worth it! The most dramatic change for me was in our upstairs hallway and stairway which seemed super narrow and dark with the carpet and now the beautiful shiny floors make it look spacious, bright and beautiful! 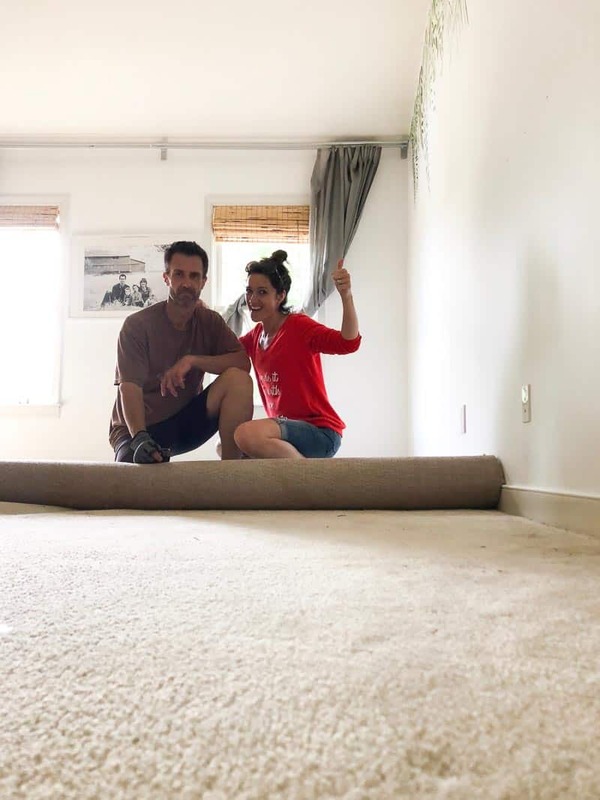 A profound upgrade from builder grade carpet! Look at how custom this looks!!! 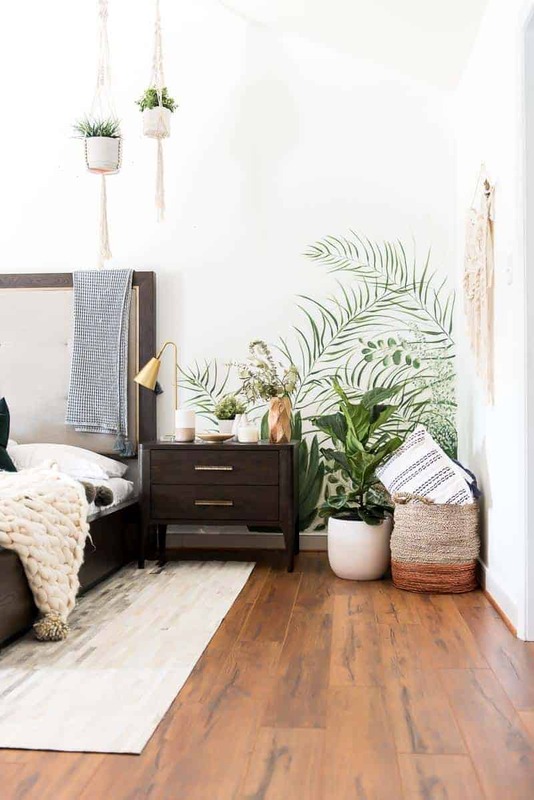 I also love our bedroom that got a little makeover a few months ago, and I could not wait to see this room with laminate floors installed! Just gorgeous! And lastly, my living room! I literally could not love my home with the new flooring more if I wanted to! I highly recommend you check out Select Surfaces laminate flooring if you are planning to make this change in your house! As always, let me know your thoughts and any questions you may have! A huge THANK YOU to Select Surfaces for providing us with this excellent product for our project! Absolutely gorgeous floors! The color seems to be a nice in the middle shade, not too light & not too dark. Can yòu explain how you tackled the stairs? You & your hubby are super talented DIYers. 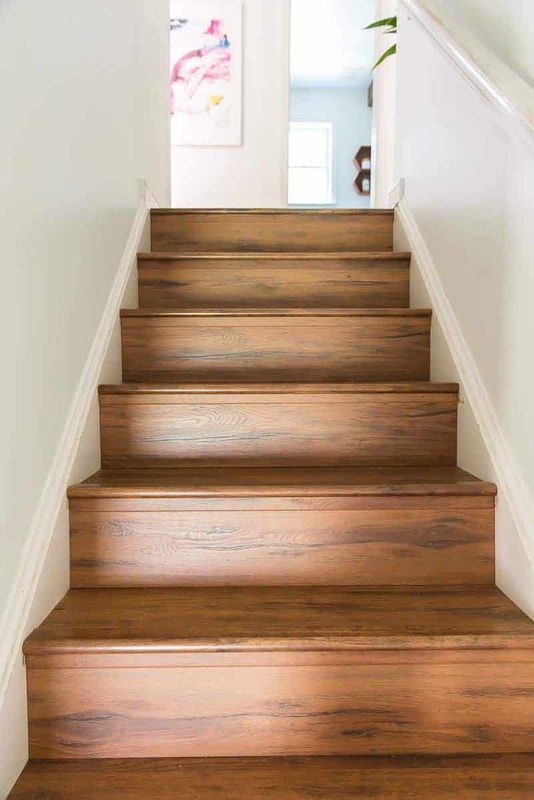 Do the stairs and/or floors have a hollow sound to them? Thanks again. Your home is beautiful! Your choice of flooring is spot on. 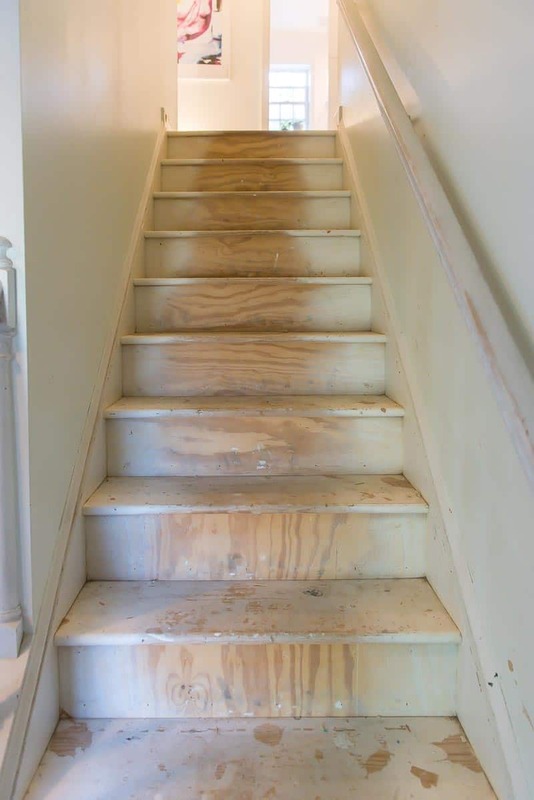 The stairs look fantastic. Good decision to do both floors despite the tremendous amount of work. 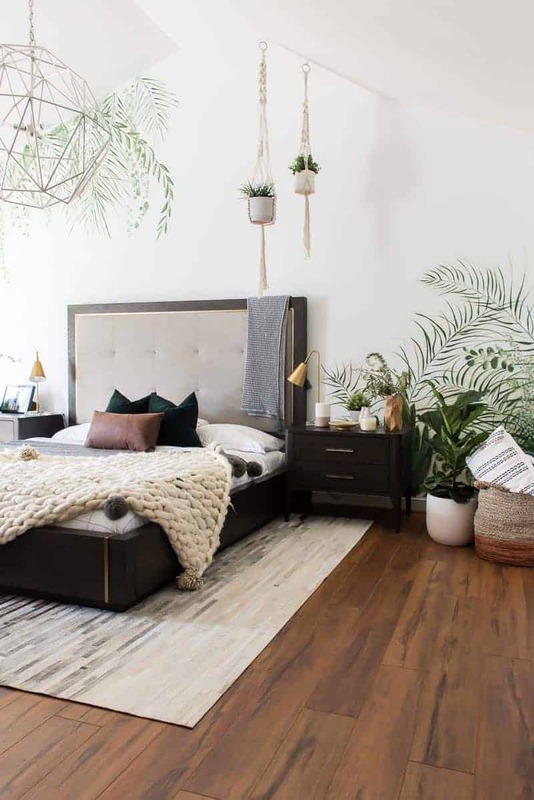 Makes your entire home look so warm and inviting. The end result is absolutely beautiful. Great pictures! Definitely excited to tackle my own home flooring project. Thank you for sharing.